Better get your good shoes on because Cupid is coming after you! 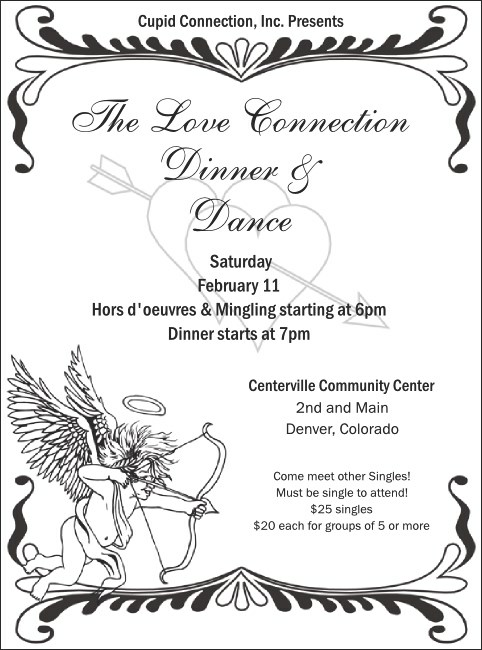 The black and white Valentine’s Day Flyer heralds the arrival of a perfect event! With his bow raised and his arrow poised and pointed, the curly haired cherub has your guests and outstanding ticket sales in his sights! Fill in the template below and we'll send them your way! You’ve found a true love in TicketPrinting.com where your orders are processed and shipped quickly!